In light of the grand jury decision, we share this collection of teaching ideas and resources, originally published by Teaching for Change in August of 2014. Here are a few ideas and resources for the classroom to help students think critically about the events in Ferguson and ways they can be proactive in their own communities. We welcome your additional suggestions. Police Brutality. 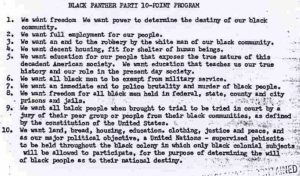 The Black Panther Party’s 1966 platform, known as the ten-point program, included the demand: “#7. We want an immediate end to police brutality and murder of Black people, other people of color, and all oppressed people inside the United States.” The issue of police brutality in communities of color has a long history and the Panther platform gives an example of how to turn grievances into a clear set of goals for meaningful change. 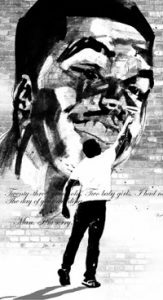 The lesson “‘What We Want, What We Believe’: Teaching with the Black Panthers’ Ten Point Program” by Rethinking Schools editor Wayne Au introduces students to this history and invites them to create their own list of demands. History of Racism. An exploration of U. S. history can help students understand how racism, while not natural, has always played a key role in this country (predating 1776) and how it became embedded in all of our institutions, including the criminal justice system. “The Color Line” is a lesson by Rethinking Schools editor Bill Bigelow (available from the Zinn Education Project) on the origins of racism in the United States and who benefits. Students hopefully will see that if racism is learned and reinforced by laws, it can also be unlearned and dismantled. International Human Rights. 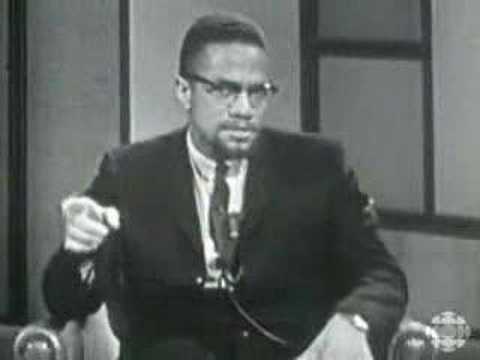 Upon his return from Mecca in 1964, El-Hajj Malik El-Shabazz (Malcolm X) stated that he wanted to bring charges against the United States for its treatment of African-Americans. He believed that it was “impossible for the United States government to solve the race problem” and the only way to get the United States to change its racist ways was to bring international pressure. He made the clear distinction between civil rights and human rights. Another lesson that highlights this American exceptionalism is “Whose Terrorism?” by Bill Bigelow of Rethinking Schools. 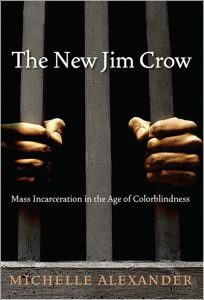 (Posted on the Zinn Education Project website). Illustration: Alain Pilon. (c) Rethinking Schools. Housing inequality. 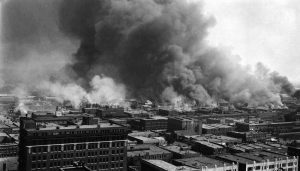 African-Americans have often been the victims of housing discrimination in Ferguson and countless other towns and cities across the country. The discrimination has occurred through laws and sometimes violence. 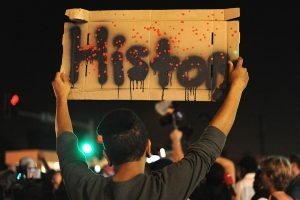 For ongoing news and on the ground interviews about Ferguson, follow Democracy Now!, AlJazeera, and Colorlines. For more teaching ideas, see What Happened in Ferguson and Why? from the Morningside Center for Teaching Social Responsibility. For more resources and to contribute your own, follow #FergusonSyllabus on twitter, launched by Dr. Marcia Chatelain of Georgetown University.